Venezuela became the latest team to claim a shock victory at the inaugural World Baseball Softball Confederation (WBSC) Premier12 competition as they edged world number two the United States 7-5 in Pool B on a bumper day of action at the event in Chinese Taipei. The American side, made up of players who are not currently part of Major League Baseball teams, took an early 1-0 lead thanks to Brett Phillips, who managed to score from second base following a well-placed strike from Brett Eibner. 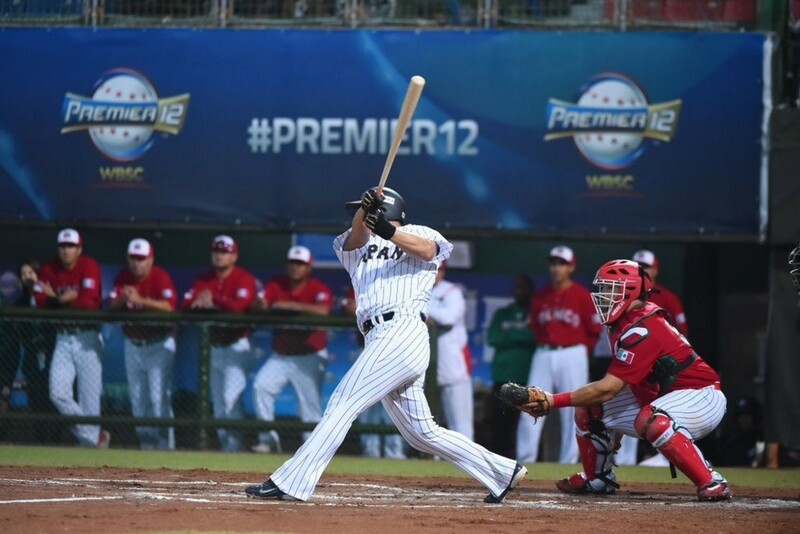 Their rhythm was somewhat disrupted by a two-hour delay due to rain at the Taoyuan Stadium though they managed to extend their advantage before Venezuelan star Luis Jimenez smashed a two-run homer to restore parity at 2-2 once the match resumed. Jiminez then added three more in the fifth which saw the South Americans surge into a surprise 5-2 lead, though the US were able to reduce the deficit to just one at the bottom of the same innings. Following a blanked sixth innings, Venezuela scored another two to move further ahead of the American team, and although they pulled one back in the seventh, it proved to be too little, too late. Elsewhere in Pool B, world number one Japan picked up their second win of the tournament as they claimed a narrow 6-5 win over Mexico to add to their success over South Korea, thanks largely to the efforts of Sho Nakata. The Hokkaido Nippon-Ham Fighters star drove in five of his team’s runs, including the vital one in the ninth innings as they squeezed over the winning line against a determined Mexican outfit. Mexico had managed to square the intriguing contest at 5-5 in the ninth before Nakata’s drive down the centre allowed Tetsuto Yamada to run through from second to ensure Japan maintained their 100 per cent record. Olympic champions South Korea bounced back from their defeat at the hands of arch-rivals Japan in the tournament opener as they hammered the Dominican Republic 10-1 in the other Pool B match to take place today. In Pool A, Cuba also recovered from losing their first match, a shock defeat to Canada, as they clinched a tight 6-5 victory over The Netherlands. The Canadians secured their second consecutive triumph, ousting Puerto Rico 2-0, while Chinese Taipei gave the home crowd something to cheer by hammering Italy 7-1. Another six matches take place tomorrow as Venezuela play Beijing 2008 gold medallists South Korea, before Cuba clash with Puerto Rico. The United States will aim to bounce back from today's defeat when they meet Mexico, while Japan face the Dominican Republic. The evening's action at the tournament, which features the world's top 12 ranked sides, sees The Netherlands take on Italy while hosts Chinese Taipei are in action against Canada.